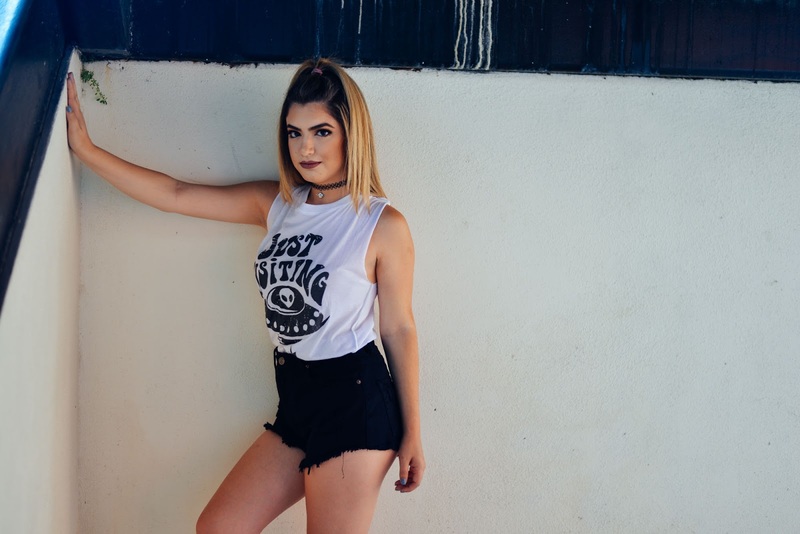 Obviously I'm a 90's baby, and there's no denying the fact that the ever so famous grunge trend has made its way into the top trending looks within the past year. 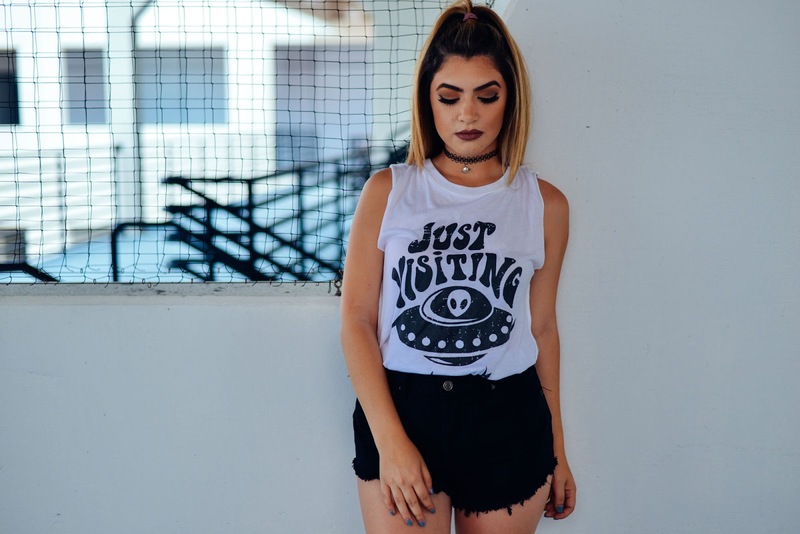 When I came across this Social Decay tee, it just screamed Charmed (the tv show) to me or even Zenon of the 21rst century. I decided to make this into a casual & comfy look since those are always the best kind to have especially if you're just hanging around or maybe even running errands. Thanks to Zooshoo, I was able to find these adorable Sam Edelman sneakers! I'm not a big sneaker girl, but sometimes they're the easiest and most convenient when you're on the run (a simple sneaker with some detail like the metallic on these, can really make a difference!). I spent the longest time in search for the perfect tattoo choker and the majority of them just seemed cheap & cheesy, until I found Goth Gurl Shop. 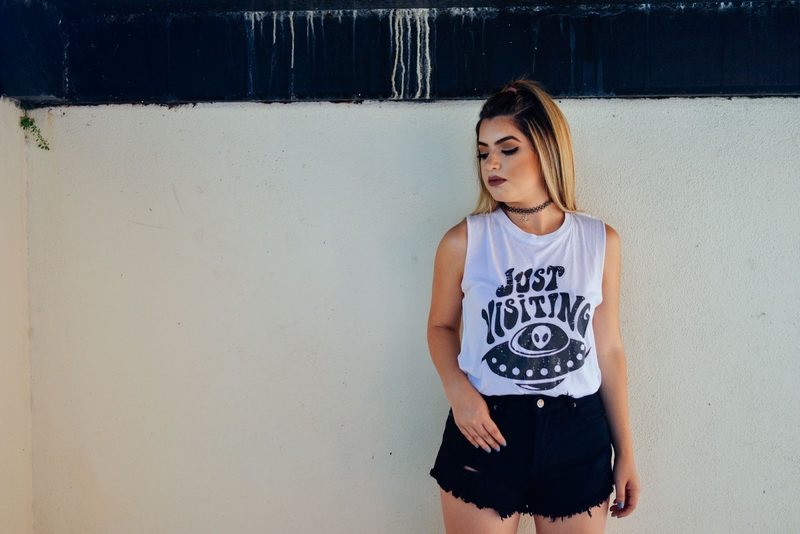 If you're looking for the perfect 90's inspired accessories, Goth Gurl will transport you back to the Spice Girl days.